MEETING TIMES: 2nd. And 4th. 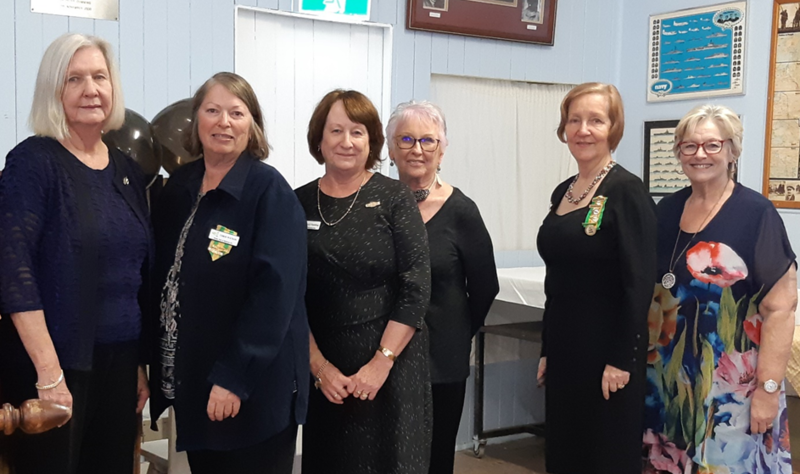 Mondays at 10.30 a.m.
L-R Jenny, Christine W, Cheryl, Annabelle, Merri, Christine G at the handover Lunch 2018. 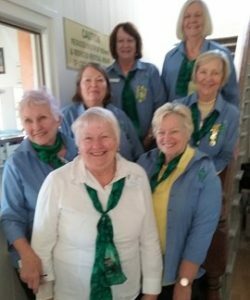 The Scope Club of Wynnum was formed in 1977 and is fortunate to have Charter Members and long serving members still working tirelessly to personify our aims. Wynnum Club has always played an active part in the local community. In the early days during the Spring Fair we had a decorated float in the procession and served hamburgers at our stall. Legend has it that the float was wiped out going under the low bridge one year. The club was asked to conduct a feasibility study on the possibility of forming a Childcare Centre, it was found there was a great need due to the large number of women working at the Dandy factory. Hence Bay Terrace Childcare Centre was formed. Each year at the Australia Day Celebration on Wynnum Foreshore we honour a person who has made a significant contribution to the community throughout the year. Beginning in 1981 this Award has been presented 38 times and nominations are now being called for next year’s Australia Day Celebration. At this event our club also hosts a colouring competition for the youngsters with some terrific prizes to be won. Forty-one years is a long time to be serving the community and we are proud of the support we have given to dozens of local organisations and individuals. To name a few of our current recipients – ARAD Wynnum North, Domestic Violence Support, Cancer Support, Suicide Support, Drought relief. Secondary Student Scholarship, Christmas Hampers for families in need. 4 x Bunnings BBQs. Service of Sausage sandwiches and sale of soft drinks as per Bunnings requirements. Clubs apply to Bunnings for dates, usually 2 per year are allotted with additional being offered if any club cancels their turn. This year we will have done 4. 2 x Catering for RSL events held at Manly/Lota RSL hall. 2 x Cent Auctions. We have two Cent Auctions per year – mid year and end of year. Goods are collected by members and donations of goods are sourced from local businesses. There are usually more than 100 items which are wrapped in clear cellophane and tied with ribbon. A wrapping day is organised where the bulk of items are wrapped. The day is held in the Manly/Lota RSL hall. Members cater for afternoon tea after the auction. An Action/Social get-together is also held on the fourth Monday of each month. (Details announced at meeting). NEW MEMBERS ARE ALWAYS WELCOME. Please fill in the form on the Contact page.